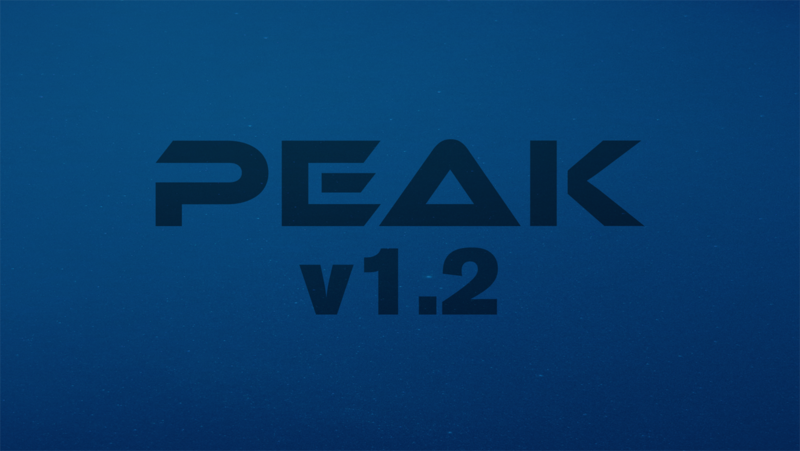 Novation is proud and excited to announce the release of the Peak firmware 1.2 update. Firmware 1.2 adds a number of the most requested features from Peak users around the world, as well as all new presets. Peak 1.2 adds two freely assignable, non-voice-specific LFOs (bringing the total to four) to the Mod Matrix and new FX Matrix. Pitch-Bend is now also available as a modulation source, with Up (BendWhl+) and Down (BendWhl-) assignable as separate signals if required. Workflow is greatly accelerated with Peak 1.2’s updated Mod Matrix design, as sources and destinations are presented on the same page – no more toggling between them to make and edit assignments. And as a knock-on benefit, the Page button now enables quick access to all 16 modulation slots. You demanded, Novation delivered! Peak 1.2 lets you route non-voice-specific modulation sources to Peak’s FX parameters in the new four-slot FX Mod Matrix. Now you can, for example, expand and contract a reverb with a rhythmic LFO, or automate delay time changes using an envelope. Speaking of envelopes, Peak 1.2’s ADSRs sees the addition of a Hold stage (up to 500ms) and the ability to loop between the Attack and Decay stages. For many, this game-changing improvement alone will be reason enough to upgrade. Peak 1.2 gives you the option of maintaining the current positions of all knobs and sliders when the Initialise button is pressed, rather than resetting their parameters to defaults – ideal for getting instantly hands-on with new patches, and creating random ones from scratch. The previous behaviour can be reinstated in the Settings menu, of course, for those who prefer it. Peak 1.2 also adds support for microtuning. 16 Tuning Tables can be edited and saved for recall within any patch, and automatic note selection makes MIDI note-to-pitch assignment a snap. Available in Components, new Soundpacks from Patricia Wolf and GForce Software showcasing the new features of Firmware 1.2, as well as the sonic power and versatility of Peak in general. Reaching new heights of sound design potential, Peak’s 1.2 firmware update will be available from the 19th December 2018 as a free download in the Components content manager.